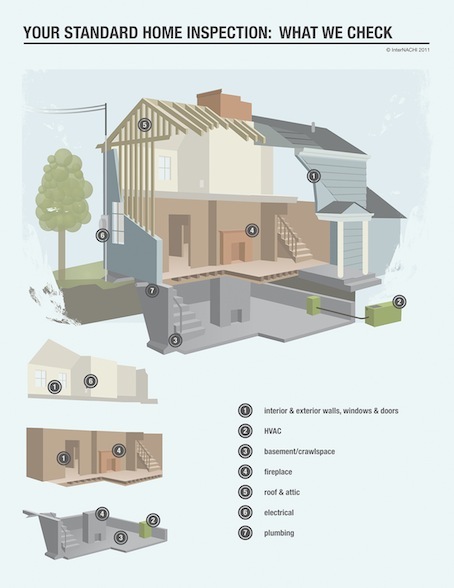 In the early years of the Home Inspection Industry, Home Inspection Reports consisted of a simple checklist or a one or two-page narrative report. In the inspection business, descriptive phrases are called “narratives”. Prior to the mid 1970’s, inspection reports followed no standard guidelines and for the most part there was little or no oversight or licensure. As might be imagined, the home inspection industry was viewed with some suspicion. With the founding of the American Society of Home Inspectors (ASHI) in 1976, home inspection guidelines governing inspection report content became available in the form of Standards of Practice. Over time, other professional organizations such as the International Association of Certified Home Inspectors (InterNACHI) came into existence and each developed their own standards, although today the various standards are all very similar. Both checklist and narrative reports are still in use today. From the point of liability, narrative reports are widely considered safer, since they generally provide more information and/or state information more clearly. Many liability issues and problems with the inspection process are due to misunderstandings about what was to be included in the report or about what the report says. For example: A friend of mine bought a 14-unit hotel in Stinson Beach, California. The six-page narrative report mentioned that flashing where the second-story concrete walkway met the building was improperly installed and the condition could result in wood decay. Four years later, my friend and his wife forked out almost $100,000 to demolish and replace the entire upper walkway. In places, it was possible to push a pencil through support beams. The inspector’s report hadn’t made clear the seriousness of the condition. Take the time to examine the Standards of Practice followed by your inspector. If he is unaffiliated with any professional inspection organization and his reports follow no particular standards, find another inspector. Generally speaking, reports should describe the major home systems, their crucial components and their operability, especially the ones in which failure can result in dangerous or expensive-to-correct conditions. Defects should be adequately described and the report should include recommendations. Recommendations may be for specific actions to be taken or for further evaluation, but they should address problems in such a way that the reader of the report will understand how to proceed. Inspection reports should include a summary report listing major problems to ensure that important issues are not missed by the reader. It’s important that the reader be aware of safety issues or conditions which will be expensive to correct. With this in mind, some inspectors color code report narratives, although many feel that color coding exposes them to increased liability and don’t. Modern home inspection reports are typically computer-generated, with an inspector choosing from a pre-written set of narratives so sometimes they read a little oddly. There will always be conditions which can’t be foreseen and for which there will be no boilerplate narratives available. Different inspectors have differing abilities when it comes to describing what they see. Many inspectors have websites which include sample Inspection Reports for prospective clients to view. Take the time to look at them. Also often included is a page explaining the scope of the inspection. The inspection contract is usually included and it should give you a good idea of what will be included in the report.